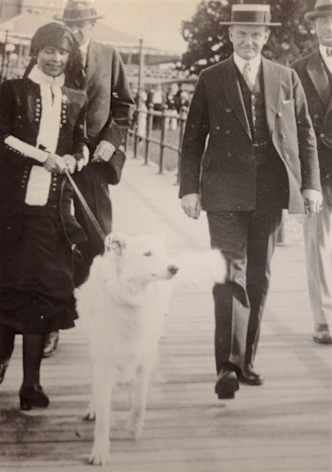 The Coolidge family’s beautiful white collies, Prudence Prim and Rob Roy, were a striking pair. 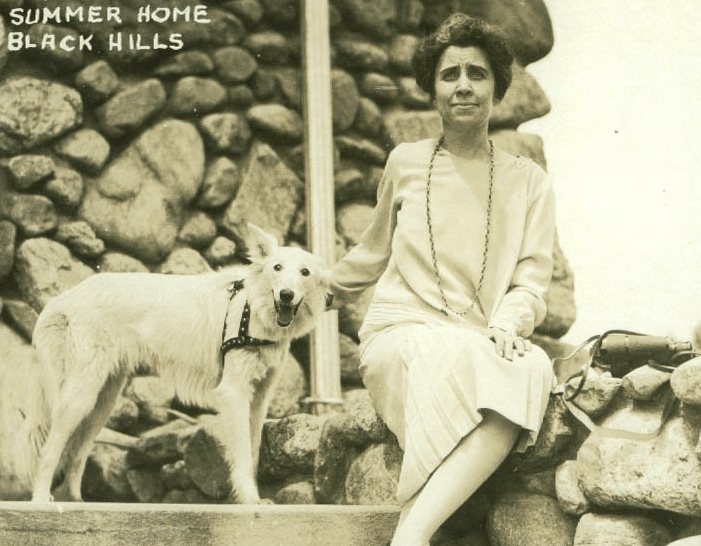 Following on the heels of her predecessor, Florence “Flossie” Harding, First Lady Grace Coolidge enjoyed the new idea of White House photo opportunities, and she often posed with one or both of her collies. A fan of animals of all sorts — including a raccoon named Rebecca — Mrs. Coolidge had a particular fondness for Prudence Prim. The feeling was mutual. The dog, about 1 year old when she arrived at the White House in October 1925, demonstrated her endless patience by enduring a straw bonnet decorated with ferns and ribbons tied onto her head for a White House garden party. The First Lady even had calling cards designed that featured Prudence Prim. When she made a visit, she would leave her own card and the dog’s card behind. Justin Shover, grandson of these famous breeders, tells the Presidential Pet Museum that Prudence Prim was probably the Coolidges’ favorite of all their many pets. “I have numerous photos that the president sent my grandparents in correspondence letters praising Prudence Prim, and speaking of their great admiration for her,” said Shover. 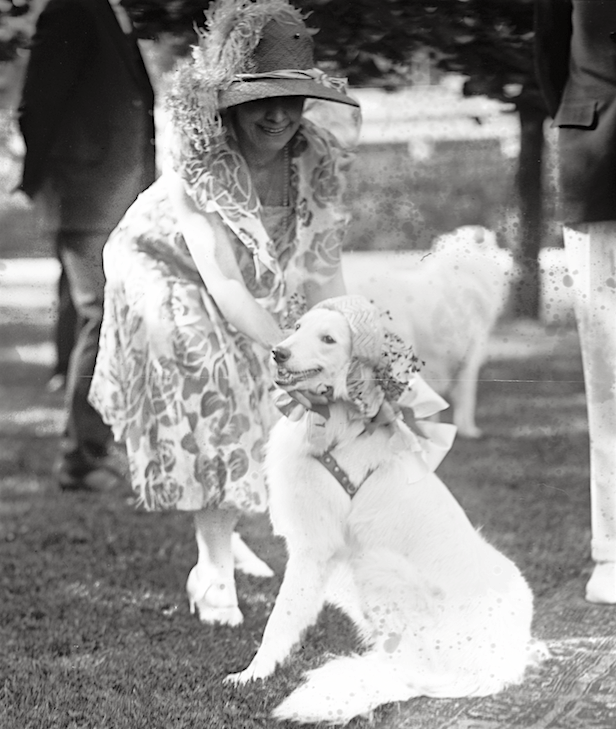 Grace Coolidge with Prudence Prim (in bonnet) at a garden party, June 3, 1926. According to an account by Ike Hoover, an usher at the White House, the Coolidges used whistles to summon the dogs. Although the First Lady could whistle well, the president usually used a tin whistle. When he did not have the whistle with him one evening, President Coolidge sputtered at trying to whistle on his own.